Valid at the Midlothian, VA Hand & Stone locations. Introductory offers valid for first time visit only. Not valid towards gift cards. Sessions include time for consultation and dressing. Rates and services may vary by location. Limited time offer. Independently owned & operated. Good at participating locations. Coupons may not be combined with any other offer. With Valpak® coupon only. Coupon void if altered. Expires 05/04/2019. Pamper yourself with the new Brightening Facial from Hand & Stone Massage and Facial Spa! Our team will help you look and feel your best with soothing facials, aromatherapy upgrades, and your choice of massage. Several spa packages to choose from. Our Midlothian, VA Spa is open 7 days and located next to Wegmans on Stone Village Way. Print our Valpak coupons for extra savings and call 804-621-7402 for an appointment. If you prefer to book online, simply click "Make Appointment" today. Our full body massage will relieve tension, soothe tired muscles and temper migraines. Massage therapy includes your choice of:, Swedish Massage, Deep Tissue Massage, Sports Massage, Hot Stone Massage, Couples Massage, Trigger Point Massage, Prenatal Massage, Himalayan Salt Stone Massage. 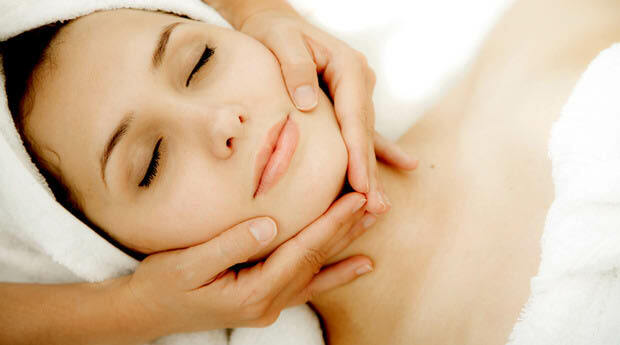 Hand & Stone facials are provided by certified estheticians, and are individually tailored for women, men and teens. Ask about our exfoliation facials, including microdermabrasion and peels, as well as our brightening facials for sun spots, dark eye circles and hyperpigmentation. Hair Removal - Wax free! Provided by certified estheticians, our hair removal services are safe, germ free and provide less discomfort than traditional waxing. No animal products used. Hair removal services for men, women and teens include: Brows, Upper Lip, Chin, Arms, Legs, Bikini and Women's Brazilian. Add to your spa visit by including special enhancements such as:, Aromatherapy, Scalp Massage, Hot towel foot exfoliation, Cold stone face massage, Hand Therapy. 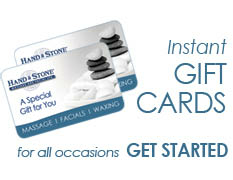 Hand & Stone Massage and Facial Spa has five convenient locations in Carytown, Chesterfield, Glen Allen, Richmond West End, Midlothian and Short Pump, Virginia.